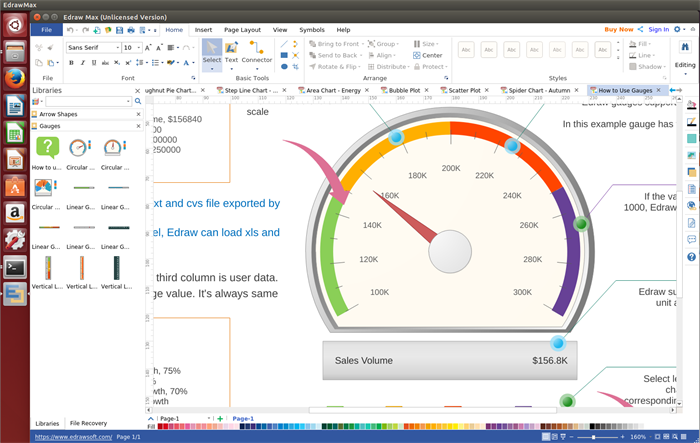 If you're looking for smart gauges chart software for Linux with a lot of features and flexibility, Edraw is a great choice. A gauges chart is also known as dial chart or speedometer chart, which visualizes data in a way that resembles a real-life speedometer needle or a regular gauge. It consists of a gauge axis(which contains the range, color ranges, and intervals markers), needles, and a center pivot point. For people who are looking for a gauges chart software which can perfectly work on Linux, it is pretty hard for them to find a better option than Edraw gauges chart software for Linux. 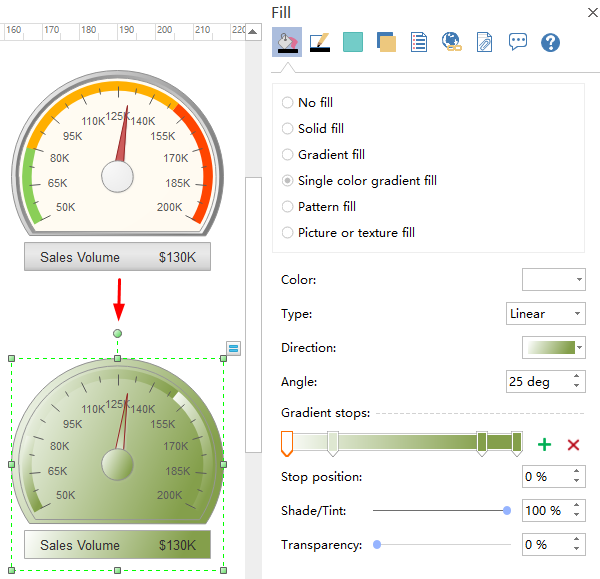 Edraw is such a humanized gauges chart maker that it has prepared almost everything users may need during the chart making process, such as gauges chart shapes, templates and even drawing tool, etc. 1. 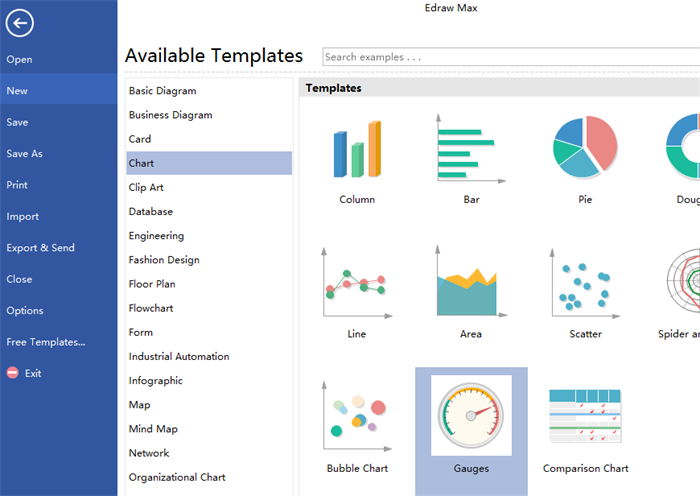 An all-inclusive chart maker which allows users to create a wide range of charts not just gauges charts, such as scatter charts, spider and radar charts, doughnut charts, etc. 2. It provides users with various shapes and professionally-designed templates. Users can customize a pre-made templates to start creating quickly or open a new page to start anew. 3. A set of drawing tool are offered under Symbol menu for users who want to design their own shapes. 4. The marvelous data visualization Edraw Linux gauges chart software provided enables users to analyze the data accurately and effectively. 5. 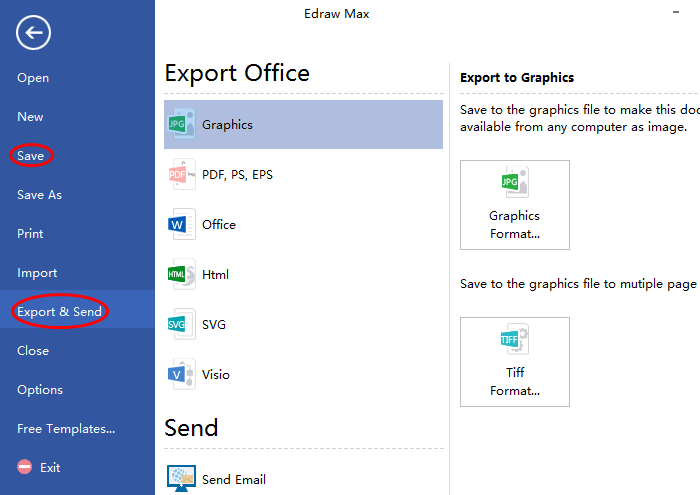 Sharing charts with others can be finished with several mouse clicks as Edraw supports exporting charts to common file formats. Following are gauges shapes provided by our gauges chart software for Linux. All of them are royalty free and easy to edit, such as changing the colors, dimensions, group/ungroup and so on. Users can edit them to fit different needs. Our Linux gauges chart software enables users to create a professional gauges chart on Linux in minutes. Firstly, start the software, open a blank drawing page by double clicking Gauges icon under chart templates. Secondly, drag and drop a gauges shape on the drawing page, set the gauge data, range number and range data by clicking the floating button. Thirdly, go to the right sidebar and set the chart color you like. 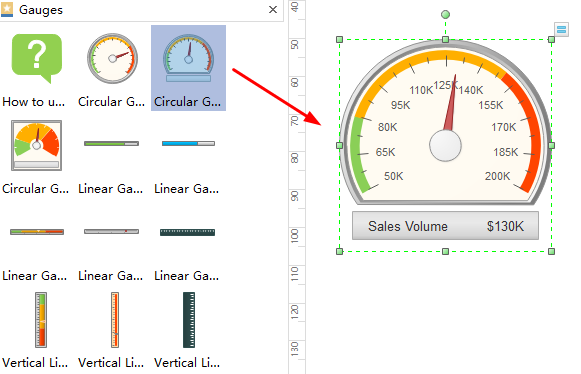 Lastly, save or export the gauges chart as you wish by clicking Save icon or Export & Send icon. Here attached a gauges chart example for your reference. 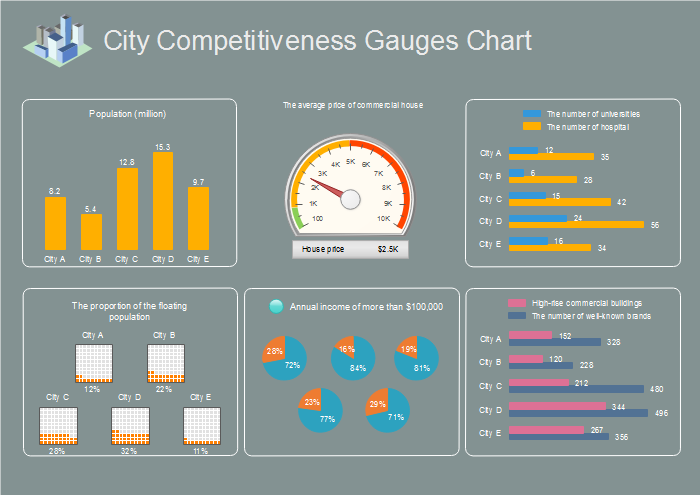 It is a city competitive gauges with population, universities, hospitals, incomes and some other data clearly presented. It is quite easy to know which city is more competitive from this chart. Welcome to download this gauges chart and edit it to your own.